That pales in comparison with, say, Canada or China, but it's not nothing. Some of the arrangements made by the Obama administration remain in place, but Trump’s edicts have severely restricted both travel to and business with the nation of Cuba. One of the biggest sources of dissent comes from a somewhat surprising place: American agribusiness. Cuba has often struggled to feed itself; as recently as last year, the New York Times reported severe food shortages and price hikes on even basic staples. 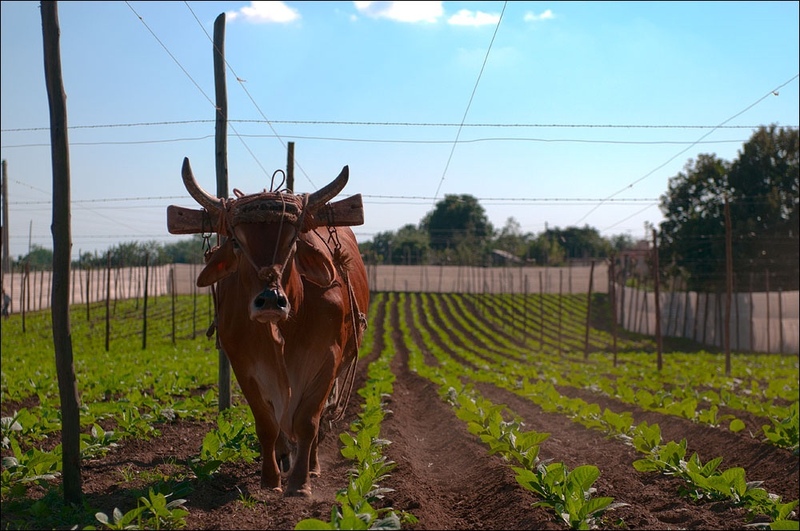 And 90 miles away, here in the US, American farmers have been eyeing Cuba as a potentially valuable trading partner. The relaxation of the embargo under the Obama administration had farmers thrilled: the most-cited estimated figure puts the value of American agricultural exports to Cuba at $125 million. That pales in comparison with, say, Canada or China, which buy over $100 billion in agricultural exports from the US, but with recent downturns in revenue for American farmers, every little bit helps. Cuba should be an easy market for U.S. corn farmers. Instead, that market has gone to our competitors – costing us an estimated $125 million in lost opportunity each year. If trade with Cuba were normalized, it would represent our 11th largest market for corn. Instead, we have just 11 percent market share in a country only 90 miles from our border. At a time when the farm economy is struggling, we ask our leaders in Washington not to close doors on market opportunities for American agriculture. At a time when family farmers and ranchers are enduring a steep decline in net farm income, it is disheartening to see President Trump complicate an opportunity to expand U.S. agricultural markets. Today’s decision unfortunately sets us in a backwards trajectory, moving away from increasing market share in a country of 11 million people just 90 miles away from U.S. shores. We should be doing more, not less, to encourage U.S. agricultural exports to Cuba. Our farmers and ranchers and the Cuban people would benefit from increased sales of high-quality, American-grown food and feed. As we cope with the biggest drop in farm prices in decades, we need to be opening up markets for American farm goods, not sending signals that might lead to less access. Trump has not been notable for prioritizing the agricultural industry, either during the campaign (when he gave only a single policy speech about agriculture) or as president (he took months to even bother appointing a USDA secretary). But actions to curb trade for one of the country’s biggest industries – even aside from the geopolitical and human rights problems with a Cuban embargo – is unexpected. Is this just one more piece of evidence that farmers could not be further from the top of Trump’s priority list?